BAWA is pleased to present another great workshop: this time with world renowned turner and educator : David Ellsworth. 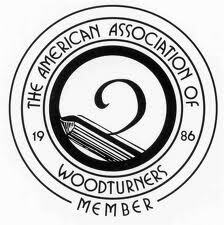 David is the founding member of the American Association of Woodturners, of which he was president from 1986-1991, and its first Honorary Lifetime Member. He has written over fifty articles on subjects related to craft and woodturning and has operated the Ellsworth School of Woodturning at his home and studio in Buck’s County, Pennsylvania since 1990. His works have been included in the permanent collections of thirty-six museums, including the Metropolitan Museum of Art in New York, the Philadelphia Museum of Art, the Los Angeles County Museum of Art, and the Museum of Fine Arts in Boston. He has taught workshops throughout the world and has received fellowship grants from the National Endowment of Arts, the Pennsylvania Council for the Arts, and the PEW Foundation. In 2009 he was elected the “Master of the Medium” by the James A. Renwick Alliance of the Smithsonian Institution in Washington, D.C. He is a Honorary Lifetime Member of the Collectors of Wood Art, and a Fellow and a former Trustee of the American Craft Council. The initial outline of the three-day workshop will focus on bowls the first day, bowls and hollow vessel the second day and just hollow vessels the third day. That said, David would like the format to be kept “loose” meaning that each participant or the entire class is welcome to deviate from the plan and work on other projects and skills. David will coach, lecture, and demonstrate as the workshop develops by addressing individual and group issues. The goal of the workshop is not to finish a specific piece but to learn and gain confidence through David’s approach and signature skills around the lathe and shop. Tools: All participants should bring their own tools, safety gear and a notebook. We will be working on 12” swing midi lathes. Hollowing tools will be available if needed. Wood: Participants are encouraged to bring their own blanks with some restrictions: avoid Camphor or other highly odorous wood and acidic/tannic woods that will damage the ways (ie green Walnut). 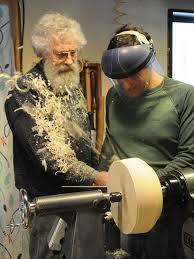 Sanding: To avoid air quality issues for the entire class, sanding should be kept to a minimum. Limited to 10 students. If the workshop is over subscribed on Jan 12th, a draw will determine attendance. 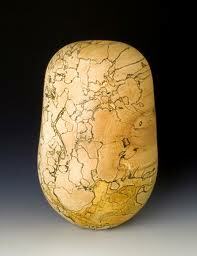 Copyright © 2012 Bay Area Woodturners Association. All rights reserved.